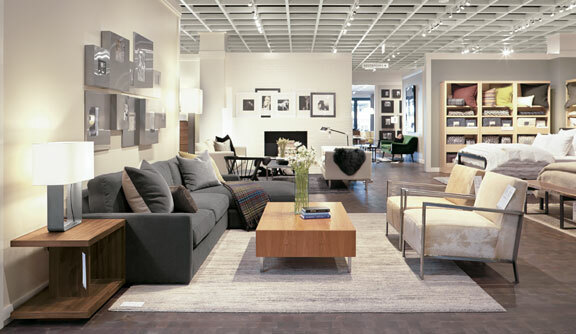 Which Type of Furniture Store is Right for You? Is there such a thing as the right type of furniture store? Where can you find the furniture you need? It depends on how you like to shop because today there isn't just one way to do it. Do you want everything in one place, or are you willing to do the mixing and matching yourself? Do you just love a brand, or do you like to see a good mix from which to choose? There are as many different types of stores as there are shopping styles. Lifestyle stores carry all items you may need to furnish a home from tableware and accessories to lighting, furniture, outdoor furniture, and rugs, you name it, and most likely you'll be able to find it. These stores are popular because shoppers like the style, and while everything does not necessarily match in the strictest sense, it does have the same feel. It is easy to coordinate everything in your home is you like a particular style. It is also about trusting a brand. Then again, you may not want to shop the same store for everything but go there for just some products that fit your needs. Pottery Barn, Crate and Barrel and of course, IKEA, are some examples of lifestyle stores. It is easy to keep going back for whatever home furnishing or accessorizing need you may have. It is hard to beat a traditional furniture store for variety, which is why they happen to be popular for furniture shopping. Traditional stores carry furniture in all different categories, often from a variety of manufacturers, and are independently owned. This is also your neighborhood store, and you are supporting local business by shopping there. Most furniture shoppers use traditional furniture stores for their furnishing needs, and it is easy to see why. Since they carry a mix of brands, you can look for different styles and shop at different price points. This is also the best place to build relationships with the sales staff and negotiate for better prices. Manufacturers have been opening their own outlets as another channel of distribution. If you like and trust a manufacturer then manufacturer-branded stores might be a good place to shop. These stores might not have such a wide variety of furniture and styles, as the merchandise is limited to their own furniture lines, but again trust and a strong preference for a brand brings consumers to these stores. Warehouse membership clubs are a convenient place to shop for furniture, and often offer good prices. You're there often to shop for other products for your home anyway, so that makes it more convenient to look around and come back for what you need. While you may not find everything and not a very wide variety, you can often find attractive pricing. Department stores are another alternative for furniture shoppers. They carry different styles and brands, but you will find that each department store has its own distinct look and feel, and that has everything to do with the customer that shops there. Office supply stores carry a limited amount of mostly ready to assemble furniture, especially for the home office and entertainment needs. You can also find storage furniture and home office accessories along with desks, office chairs, and TV stands. If you are interested in buying good quality furniture, then going through a designer is a good option. They have access to furniture that is available to the trade only. This provides access to one of a kind or exclusive brands that you may not be able to purchase on your own. Then there is used furniture that can be bought from several different outlets. This is a good option for bargains, first apartments, or those looking to refurbish and up-cycle furniture pieces.